Thank God the weather is finally starting to improve around here; I don’t think my skin could take anymore of this freezing cold wind! I normally have dry skin, but this winter/spring my skin has reached a new level of dryness, and my lips were the most affected by the frosty UK weather. I’ve recently been using a 2-step lip combination to treat and give some colour to my lips. It’s made with 100% naturally derived ingredients and it can be used for lips, cuticles, dry nasal passages and general dry skin patches. It’s very thick in consistency, almost like a paste, so not ideal for being a base before applying lipstick, but perfect for giving your lips a good moisture soak. It doesn’t melt away at all and it stays put treating my lips for a good few hours. If I’m staying at home, I leave it on for as long as possible and keep re-applying it throughout the day. If I’m going somewhere I tend to leave it on my lips whilst I get ready until I’m ready to apply a lip colour, which brings me to the next product. The consistency of this product, compared to the one above, is a bit less thick, but still quite rich and creamy. The plus side is that it’s not only treating your lips, but it’s giving it some colour at the same time. You can choose from a selection of shades, but my favourite is ‘Rose’, a dusty pink shade that comes out much lighter on the lips than what it looks on the tube. This is perfect for everyday use and even better if you’ve been suffering from extremely dry lips; I know that I’ve struggled to find a lip product that looks good on my lips recently, and this combo has been a ‘lip saver’! The balm looks amazing and it brilliant how it is a multipurpose product, therefore I am guessing the product won’t go to waste? 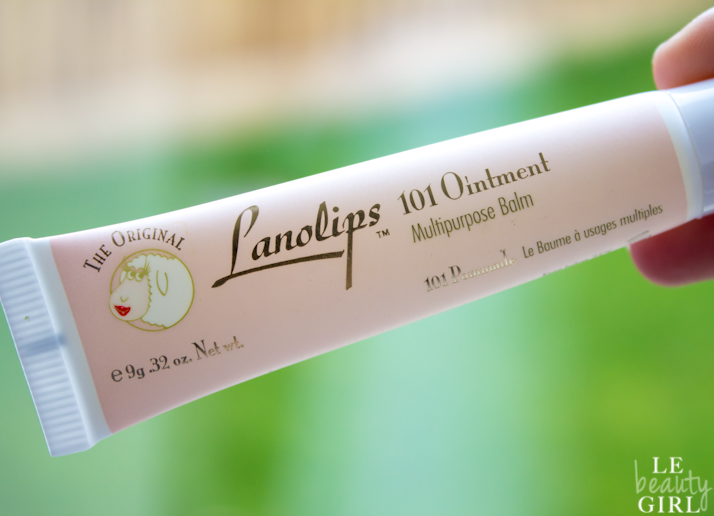 I really like the colour of lip ointment and if it gives a pop of colour and soothes the lips then it is the best of both worlds. I also love how it isn’t too pricey. I will definitely look into getting some of these. These look fab and LOVE your blog! !